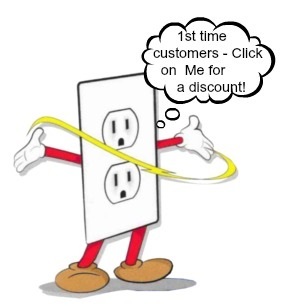 Do you need help with your electrical projects? Then you have come to the right place! At Radin Electric our electricians have been servicing the Butler County Ohio area – including Hamilton, Fairfield, Oxford and the surrounding areas for over 8 years. 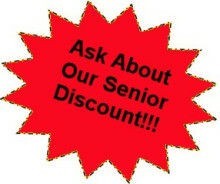 We offer personalized and dependable service. Upfront Pricing so there are no surprises! At Radin we take the time to make sure that we complete the job in a professional and timely manner. We offer free work estimates and take the time to explain the problem we uncover and what it will take to get the job done. We are meticulous about electric work in the Hamilton / Fairfield area and you can tell by taking a look in our truck! 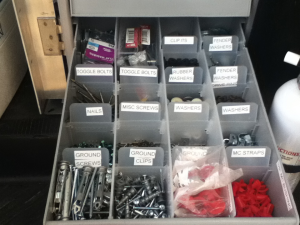 Everything is organized and labeled so that our time at your home or business isn’t spent looking for parts and the necessary electrical equipment to finish our work! You won’t find a more organized work space in the Tri-State! Our business is dedicated to providing our customers with professional electrical repair and installation of the highest quality at truly competitive prices. We can design and install any electrical system that you may need for your project.